An absolutely amazing invention. 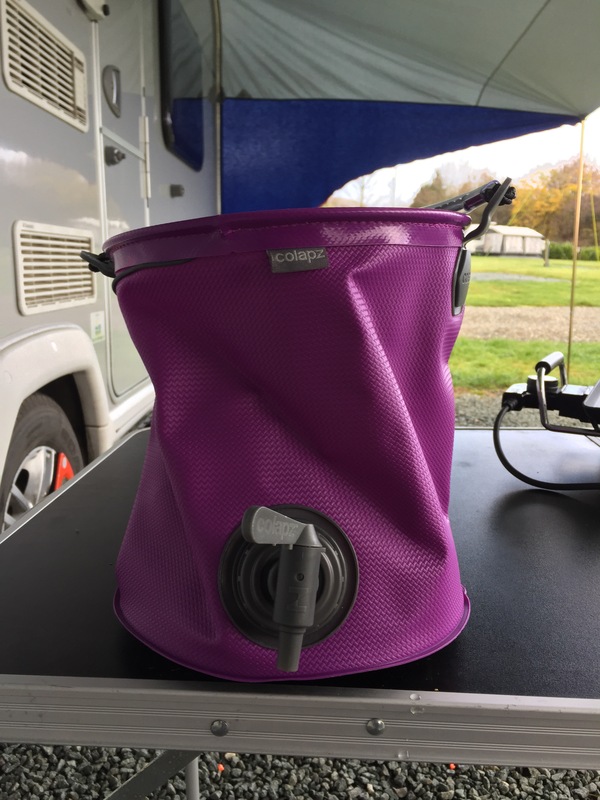 Perfect for caravans and camping. 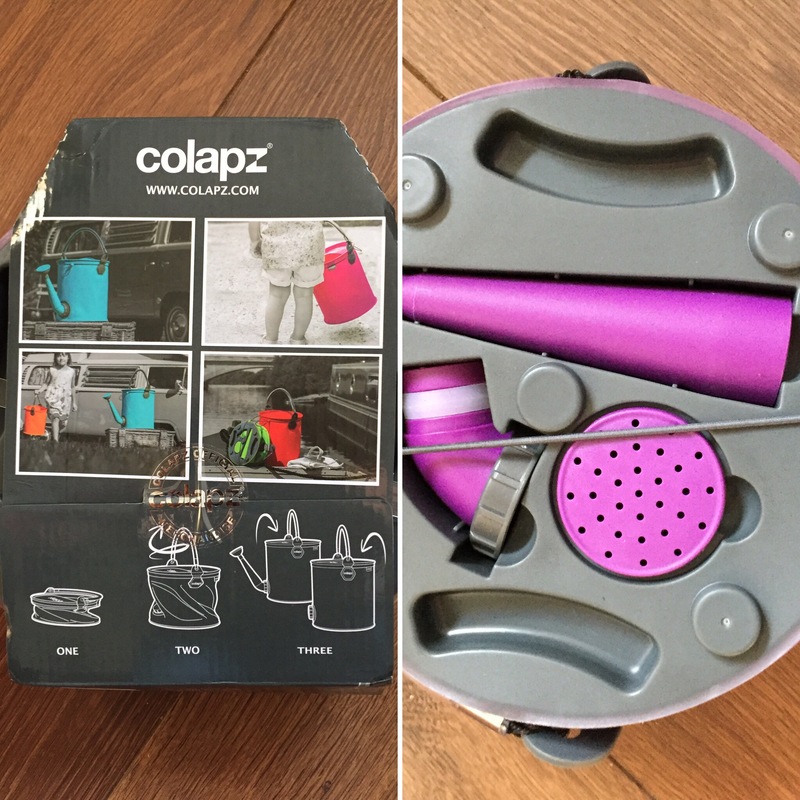 This vibrantly coloured product by Colapz folds away very compactly storing all it’s accessories in it’s base making it easy to transport and store away. It twists flat and stays flat until it’s needed, popping back to full size in a flash. 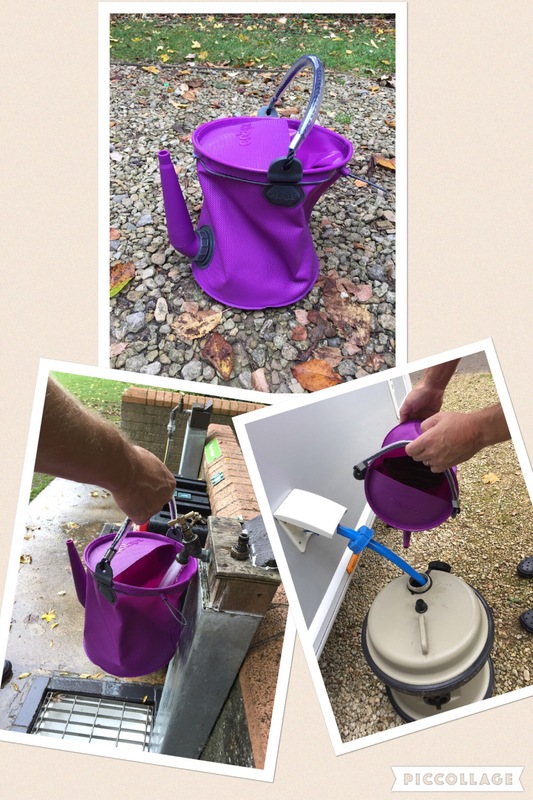 It comes with a multitude of uses, watering can, bucket and liquid carrier. Completely safe for carrying food and drink. Perfect for dispensing drinks at kids football matches etc. In use as a bucket or dispenser it has a maximum capacity of 10 litres. 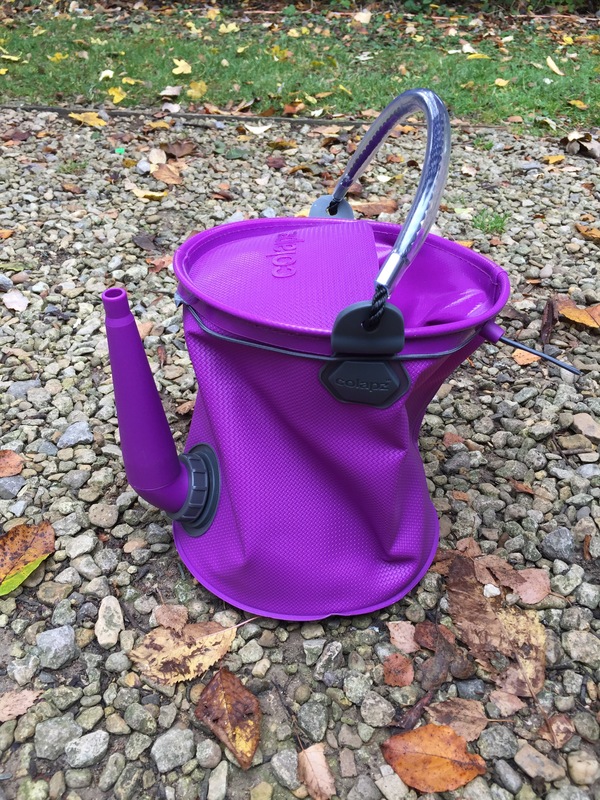 As a watering can, the way we use it most, it has a capacity of 7 litres. We like to use it to top up the water in our caravan. Perfect for carrying to the water tap when you want to do a top up rather than taking the aqua roll. Removing the rose makes it perfect for this job. 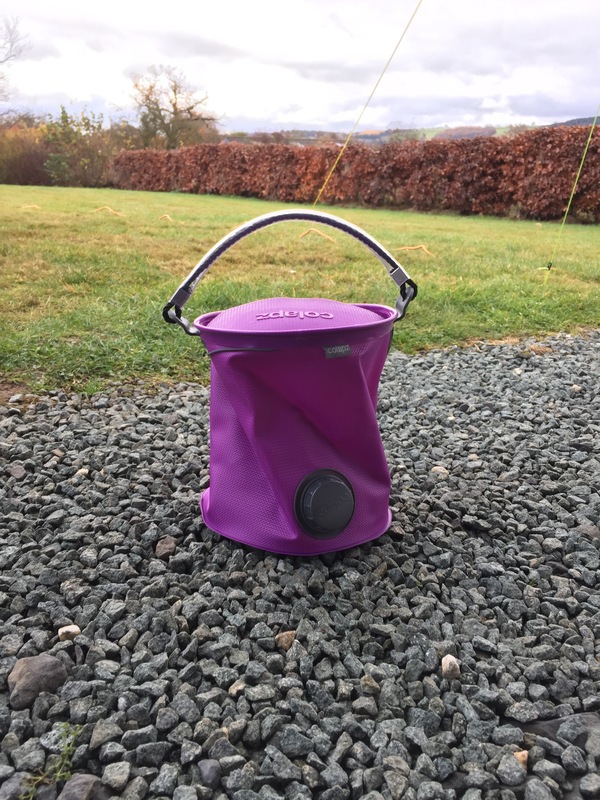 Made from sturdy recyclable plastic, it won’t fade or dry out in the sunshine and frost proof in the winter stopping it from cracking or splitting. Do we like it? Yes we do. Now an invaluable piece of kit that starts many a conversation at the water tap.